For more than twenty years, the endohedral fullerene cavity is attracting a permanent attention of experimenters and theorists, computational chemists and physicists, who apply their efforts to simulate encapsulated atoms and molecules in the fullerene cavity on computers and analyze the arising phenomena of atomic bonding. In this work, recent developments concerning the endohedral fullerene He2@C60, in particular, its experimental observation and relevant computational works, are reviewed. On the one hand, the dihelium He2 embedded into the C60 cavity is observed experimentally. On the other hand, the computer simulation shows that each of the He atoms is characterized by an insignificant charge transfer to C60, so that the He dimer exists as a partially charged (He+b)2 entity. The key issue of the work concerns the existence of a bond between those two helium atoms. Since the bond is created between two particles, we assert that it suffices to define the bond on the basis of the molecular L¨owdin’s postulate and use it to study the He dimer in the C60 cavity in terms of the He–He potential energy well. It was analytically demonstrated that this well can contain at least one bound (ground) state. Therefore, according to L¨owdin’s postulate, which is naturally anticipated in quantum theory, the conclusion is drawn that the (He+b)2 entity is a diatomic molecule, in which two heliums are bound with each other. On the basis of those arguments, the concept of endohedral fullerene stability is proposed to be extended. V.V. Krasnogolovets, G.A. Puchkovska, A.A. Yakubov. Thermoinduced rearrangement of the hydrogen bond systems in liquid crystalline carboxylic acids. Mol. Cryst. Liq. Cryst. 265, 143 (1995). L.M. Babkov, E.S. Vedyaeva, S.I. Tatarinov, G.A. Puchkovska, A.A. Yakubov. Modeling of infrared spectra and structural aspects of polymorphism of mesogenes with hydrogen bonds. Mol. Cryst. Liq. Cryst. 482–483, 457 (1999). A. Barabash, T. Gavrilko, K. Eshimov, G. Puchkovska, A. Shanchuk. Vibrational spectra and lattice dynamics of hydrogen-bonded NH4IO3 crystal in the pretransition region. J. Mol. Struct. 511–512, 145 (1999). T.S. Kuhn. The Structure of Scientific Revolutions (University of Chicago Press, 1970). P. Hobza, V. ? Spirko, Z. Havlas, K. Buchhold, B. Reimann, H.-D. Barth, B. Brutschy. Anti-hydrogen bond between chloroform and fluorobenzene. Chem. Phys. Lett. 299, 180 (1999). B. Reimann, K. Buchhold, S. Vaupel, B. Brutschy, Z. Havlas, P. Hobza. Improper, blue-shifting hydrogen bond between fluorobenzene and fluoroform, J. Phys. Chem. A 105, 5560 (2001). S.N. Delanoye, W.A. Herrebout, B.J. van der Veken. Blue shifting hydrogen bonding in the complexes of chlorofluoro haloforms with acetone-d6 and oxirane-d4, J. Am. Chem. Soc. 124, 11854 (2002). H. Primas. Chemistry, Quantum Mechanics and Reductionism. Perspectives in Theoretical Chemistry (Springer, 1983). G.R. Desiraju. The book review "Essays in the philosophy of chemistry. Edited by E. Scerri and G. Fisher (Oxford University Press, 2016)". Curr. Sci. 112, 2488 (2017). T.S. Moore, T.F. Winmill. CLXXVII. – The state of amines in aqueous solution, J. Chem. Soc. 101, 1635 (1912). M. L. Huggins. Thesis in Advanced Inorganic Chemistry Course (University of California, 1919). M.L. Huggins. 50 years of hydrogen bond theory. Angew. Chem. Internat. Edit. 10, 147 (1971). W.M. Latimer, W.H. Rodebush. 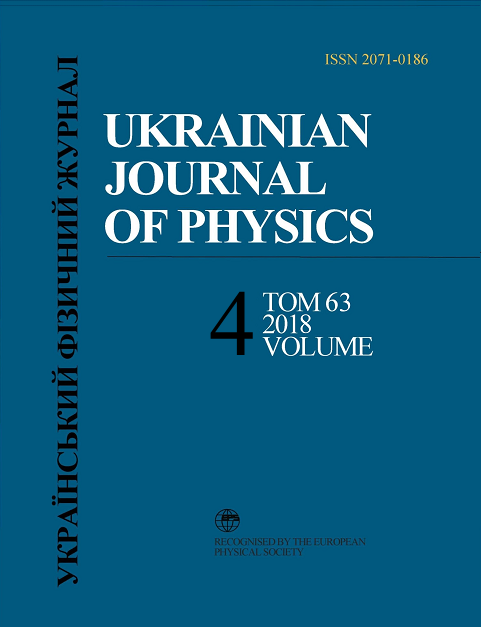 Polarity and ionization from the standpoint of the theory of valence, J. Am. Chem. Soc. 42, 1419 (1920). L. Pauling. The shared-electron chemical bond. Proc. Natl. Acad. Sci. USA 14, 359 (1928). E.S. Kryachko. Neutral blue-shifting and blue-shifted hydrogen bonds. In Hydrogen Bonding – New Insights. Edited by S. Grabowski (Springer, 2006), p. 293. G.N. Lewis. Valence and Structure of Atoms and Molecules (Chemical Catalog, 1923), Ch. 12. IUPAC, Compendium of Chemical Terminology, Gold Book, Version 2.3.3, 2014. E. Arunan, G.R. Desiraju, R.A. Klein, J. Sadlej, S. Scheiner, I. Alkorta, D.C. Clary, R.H. Crabtree, J.J. Dannenberg, P. Hobza, H.G. Kjaergaard, A.C. Legon, B. Mennucci, D.J. Nesbitt. Defining the hydrogen bond: An account (IUPAC Technical Report). Pure Appl. Chem. 83, 1619 (2011). G.C. Pimentel, A.L. McClellan. The Hydrogen Bond (Freeman, 1960), Section 6.1. The Hydrogen Bond. Recent Developments in Theory and Experiments. Vol. II. Structure and Spectroscopy. Edited by P. Schuster, G. Zundel, C. Sandorfy (North-Holland, 1976), Ch. 12. D. Deutsch. The Fabric of Reality: The Science of Parallel Universes and Its Implications (Viking Press, 1997). S.-G. Wang, Y.-X. Qiu, W.H.E. Schwarz. Bonding or nonbonding? Description or explanation? "Confinement bonding" of He@adamantane. Chem. Eur. J. 15, 6032 (2009). A.D. McNaught, A. Wilkinson. IUPAC Compendium of Chemical Terminology (Blackwell Scientific Publications, 1997) [on-line corrected version http://gold-book.iupac.org]. H.W. Kroto, J.R. Heath, S.C. O'Brien, R.F. Curl, R.E. Smalley. C60 – buckminsterfullerene. Nature 318, 162 (1985). H.W. Kroto. C60 – buckminsterfullerene, the celestial sphere that fell to Earth. Angew. Chem. Int. Edit. 31, 111 (1992). H.W. Kroto, A.W. Allafand, S.P. Balm. C60: Buckmin-sterfullerene. Chem. Rev. 91, 1213 (1991). E. Osawa. Superaromaticity. Phil. Trans. Roy. Soc. London A 343, 1 (1993). D.A. Bochvar, E.G. Galpern. On hypothetical systems: carbododecahedron, s-icosahedron, and carbo-s-icosahedron. Dokl. Akad. Nauk SSSR 209, 610 (1973) (in Russian). R.E. Curl. Dawn of the fullerenes: Experiment and conjecture. Rev. Mod. Phys. 69, 691 (1997). H.W. Kroto. Symmetry, space, stars, and C60. Rev. Mod. Phys. 69, 703 (1997). R. Smalley. Discovering the fullerenes. Rev. Mod. Phys. 69, 723 (1997). J.P. Hare, H.W. Kroto. A postbuckminsterfullerene view of carbon in the galaxy. Acc. Chem. Res. 25, 106 (1992). F. Diederich, R.L. Whetten. Beyond C60: the higher fullerenes. Acc. Chem. Res. 25, 119 (1992). P.J. Fagan, J.C. Calabrese, B. Malone. Metal complexes of buckminsterfullerene (C60). Acc. Chem. Res. 25, 134 (1992). R.C. Haddon. Electronic structure, conductivity, and superconductivity of alkali-metal doped C60. Acc. Chem. Res. 25, 127 (1992). J.M. Hawkins. Osmylation of C60: Proof and characterization of the soccer-ball framework. Acc. Chem. Res. 25, 150 (1992). R.D. Johnson, D.S. Bethune, C.S. Yannoni. Fullerene structure and dynamics: A magnetic-resonance potpourri. Acc. Chem. Res. 25, 169 (1992). S.W. McElvany, M.M. Ross, J.H. Callahan. Characterization of fullerenes by mass spectrometry. Acc. Chem. Res. 25, 162 (1992). R.E. Smalley. Self-assembly of the fullerenes. Acc. Chem. Res. 25, 98 (1992). J.H. Weaver. Fullerenes and fullerides: Photoemission and scanning tunneling microscopy studies. Acc. Chem. Res. 25, 143 (1992). F. Wudl. The chemical properties of buckminsterfullerene (C60) and the birth and infancy of fulleroids. Acc. Chem. Res. 25, 157 (1992). J. Cioslowski. Electronic Structure Calculations of Fullerenes and Their Derivatives (Oxford Univ. Press, 1995). A.V. Yeletskii, B.M. Smirnov. Fullerenes and carbon structures. Usp. Fiz. Nauk 165, 977 (1995) (in Russian). K. Hedberg, L. Hedberg, D.S. Bethune, C.A. Brown, H.C. Dorn, R.D. Johnson, M. Devries. Bond lengths in free molecules of buckminsterfullerene, C60, from gas-phase electron diffraction. Science 254, 410 (1991). M. Arndt, O. Nairz, J. Vos-Andreae, C. Keller, G. van der Zouw, A. Zeilinger. Wave-particle duality of C60 molecules. Nature 401, 680 (1999). A.I.M. Rae. Quantum physics – Waves, particles and fullerenes. Nature 401, 651 (1999). D.A. Garc? ?a-Hern?andez, A. Manchado, P. Garc? ?a-Lario, L. Stanghellini, E. Villaver, R.A. Shaw, R. Szczerba, J.V. Perea-Calder?on. Formation of fullerenes in H-containing planetary nebulae. Astrophys. J. Lett. 724, L39 (2010). R.C. Haddon, A.F. Hebard, M.J. Rosseinsky, D.W. Murphy, S.J. Duclos, K.B. Lyons, B. Miller,J.M. Rosamilia, R.M. Fleming, A.R. Kortan, S.H. Glarum, A.V. Makhija, A.J. Muller, R.H. Eick, S.M. Zahurak, R. Tycko, G. Dabbagh, F.A. Thiel. Conducting films of C60 and C70 by alkali-metal doping. Nature 350, 320 (1991). M. Kuhn et al. Atomically resolved phase transition of fullerene cations solvated in helium droplets. Nature Comm. 7, 13550 (2016). D. Xu, Y. Gao, W. Jiang. Unusual spin-polarized electron state in fullerene induced bycarbon adatom defect. Nanoscale 9, 7875 (2017). E.K. Campbell, J.P. Maier. Perspective: C+60 and laboratory spectroscopy related to diffuse intrastellar bands. J. Chem. Phys. 146, 160901 (2017). J. Cioslowski, E.D. Fleischmann. Endohedral complexes: atoms and ions inside the C60 cage. J. Chem. Phys. 94, 3730 (1991). "He atom trapped inside C60": https://www.youtube.com/watch?v=Cm6vXNPki-o. M. Saunders, H.A. Jim?enez-V?azquez, R.J. Cross, S. Mroczkowski, M.L. Gross, D.E. Giblin, R.J. Poreda. In-corporation of helium, neon, argon, krypton, and xenon into fullerenes using high-pressure. J. Am. Chem. Soc. 116, 2193 (1994). M. Saunders, H.A. Jim?enez-V?azquez, R.J. Cross, R.J. Poreda. Stable compounds of helium and neon: He@C60and Ne@C60. Science 259, 1428 (1993). T. Weiske, H. Schwarz, D.E. Giblin, M.L. Gross. High-energy collisions of Kr@C+60 with helium. Evidence for the formation of HeKr@C+. Chem. Phys. Lett. 227, 87 (1994). M. B?uhl, W. Thiel. Ab initio helium NMR chemical shifts of endohedral fullerene compounds He@Cn (n = 32–180). Chem. Phys. Lett. 233, 585 (1995). R. Tonner, G. Frenking, M. Lein, P. Schwerdtfeger. Packed to the rafters: filling up C60 with raregas atoms. Chem. Phys. Chem. 12, 2081 (2011). H.J. Cooper, C.L. Hendrickson, A.G. Marshall. Direct detection and quantitation of He@C60 by ultrahigh-resolution Fourier transform ion cyclotron resonance mass spectrometry. J. Am. Soc. Mass. Spectr. 13, 1349 (2002). A.A. Popov, S.F. Yang, L. Dunsch. Endohedral fullerenes. Chem. Rev. 113, 5989 (2013). R.J. Cross. Vibration-rotation spectroscopy of molecules trapped inside C60. J. Phys. Chem. A 112, 7152 (2008). M.Z. Xu, M. Jim?enez-Ruiz, M.R. Johnson, S. Rols, S.F. Ye, M. Carravetta, M.S. Denning, X.G. Lei, Z. Ba-?ci?c, A.J. Horsewill. Confirming a predicted selection rule in inelastic neutron scattering spectroscopy: The quantum translator-rotator H2 entrapped inside C60. Phys. Rev. Lett. 113, 123001 (2014). T. Sternfeld, R.E. Hoffman, M. Saunders, R.J. Cross, M.S. Syamala, M. Rabinovitz. Two helium atomsinside fullerenes: Probing the internal magnetic field in C6?60 and C6?70 . J. Am. Chem. Soc. 124, 8786 (2002). S. Osuna, M. Swart, M. Sol`a. The chemical reactivity of fullerenes and endohedral fullerenes: A theoretical perspective. In Carbon Bonding and Structures: Advances in Physics and Chemistry. Edited by M.V. Putz (Springer, 2011), p. 57. R.F. Peng, S.J. Chu, Y.M. Huang, H.J. Yu, T.S. Wang, B. Jin, Y.B. Fu, C.R. Wang. Preparation of He@C60 and He2@C60 byan explosive method. J. Mater. Chem. 19, 3602 (2009). M. B?uhl, S. Patchkovskii, W. Thiel. Interaction energies and NMR chemical shifts of noble gases in C60. Chem. Phys. Lett. 275, 14 (1997). A. Khong, H.A. Jim?enez-V?azquez, M. Saunders, R.J. Cross, J. Laskin, T. Peres, C. Lifshitz, R. Strongin, A.B. Smith. An NMR study of He2 inside C70. J. Am. Chem. Soc. 120, 6380 (1998). M.S. Syamala, R.J. Cross, M. Saunders. 129Xe NMR spectrum of xenon inside C60. J. Am. Chem. Soc. 124, 6216 (2002). M. Saunders, R.J. Cross. Putting nonmetals into fullerenes. In Endofullerenes: A New Family of Carbon Clusters. Edited by T. Akasaka, Sh. Nagase (Kluwer, 2002), p. 1. N. Bartlett. Xenon hexafluoroplatinate(V) Xe+[Ptf6]?. Proc. Chem. Soc. 218 (1962). L. Graham, O. Graudejus, N.K. Jha, N. Bartlett. Con- cerning the nature of XePtF6. Coord. Chem. Rev. 197, 321 (2000). J. Cioslowski, K. Raghavachari. Electrostatic potential, polarization, shielding, and charge transfer in endohedral complexes of the C60, C70, C76, C78, C82, and C84 clusters. J. Chem. Phys. 98, 8734 (1993). J. Cioslowski. Endohedral chemistry: Electronic structures of molecules trapped inside the C60 cage. J. Am. Chem. Soc. 113, 4139 (1991). Y. Wang, D. Tomanek, R.S. Ruoff. Stability of M@C60 endohedral complexes. Chem. Phys. Lett. 208, 79 (1993). S.C. Erwin. Electronic structure of the alkali- intercalated fullerides, endohedral fullerenes, and metal-adsorbed fullerenes. In Buckminsterfullerene. Edited by W.E. Billups, M.A. Ciofolini (VCH, 1993), P. 217. K. Jackson, E. Kaxiras, M.R. Pederson. Bonding of endohedral atoms in small carbon fullerenes. J. Phys. Chem. 98, 7805 (1994). E.S. Kryachko, T.Y. Nikolaienko. He2@C60: Thoughts of the concept of a molecule and of the conceptof a bond in quantum chemistry. Int. J. Quantum Chem. 115, 859 (2015). T.Y. Nikolaienko, E.S. Kryachko. Formation of dimers of light noble atoms under encapsulation within fullerene's voids. Nanoscale Res. Lett. 10, 185 (2015). M.J. Frisch, G.W. Trucks, H.B. Schlegel, G.E. Scuseria, M.A. Robb, J.R. Cheeseman, G. Scalmani, V. Barone, B. Mennucci, G.A. Petersson, H. Nakatsuji, M. Caricato, X. Li, H.P. Hratchian, A.F. Izmaylov, J. Bloino, G. Zheng, J.L. Sonnenberg, M. Hada, M. Ehara, K. Toyota, R. Fukuda, J. Hasegawa, M. Ishida, T. Nakajima, Y. Honda, O. Kitao, H. Nakai, T. Vreven, Jr. J.A. Montgomery, J.E. Peralta, F. Ogliaro, M. Bearpark, J.J. Heyd, E. Brothers, K.N. Kudin, V.N. Staroverov, R. Kobayashi, J. Normand, K. Raghavachari, A. Rendell, J.C. Burant, S.S. Iyengar, J. Tomasi, M. Cossi, N. Rega, N.J. Millam, M. Klene, J.E. Knox, JB. Cross, V. Bakken, C. Adamo, J. Jaramillo, R. Gomperts, R.E. Stratmann, O. Yazyev, A.J. Austin, R. Cammi, C. Pomelli, J.W. Ochterski, R.L. Martin, K. Morokuma, V.G. Zakrzewski, G.A. Voth, P. Salvador, J.J. Dannenberg, S. Dapprich, A.D. Daniels,? O. Farkas, J.B. Foresman, J.V. Ortiz, J. Cioslowski, D.J. Fox. Gaussian 09. Revision A.02. Gaussian Inc. (Wallingford CT, 2009). Y. Zhao, D.G. Truhlar. The M06 suite of density functionals for main group thermochemistry, thermochemical kinetics, noncovalent interactions, excited states, and transition elements: Two new functionals and systematic testing of our M06-class functionals and 12 other functionals. Theor. Chem. Acc. 120, 15 (2008). Y. Zhao, D.G. Truhlar. Density functionals with broad applicability in chemistry. Acc. Chem.Res. 41, 157 (2008). H. Dodziuk, G. Dolgonos, O. Lukin. Molecular mechanics study of endohedral fullerene complexes with small molecules. Carbon 39, 1907 (2001). H. Dodziuk. Modeling complexes of H2 molecules in fullerenes. Chem. Phys. Lett. 410, 39 (2005). G. Dolgonos. How many hydrogen molecules can be inserted into C60? Comments on the paper 'AM1 treatment of endohedrally hydrogen doped fullerene, nH2@C60' by L. T?urker and S. Erko?c [J. Mol. Struct. (Theochem) 638, 37 (2003)]. J. Mol. Struct. (Theochem) 732, 239 (2005). G. Dolgonos. A commentary on "Density functional calculation of hydrogen-filled C60 molecules" by C.-K. Yang [Carbon 45, 2451 (2007)]. Carbon 46, 704 (2008). S. Grimme, C. M?uck-Lichtenfeld, J. Antony. Noncovalent interactions between graphene sheets andin multishell (hyper)fullerenes. J. Phys. Chem. C 111, 11199 (2007). H. Kruse, S. Grimme. Accurate quantum chemical description of non-covalent interactions in hydrogen filled endohedral fullerene complexes. J. Phys. Chem. C 113, 17006 (2009). C. M?uck-Lichtenfeld, S. Grimme, L. Kobryn, A. Sygula. Inclusion complexes of buckycatcher with C60 and C70. Phys. Chem. Chem. Phys. 12, 7091 (2010). A. Krapp, G. Frenking. Is this a chemical bond? A theoretical study of Ng2@C60 (Ng = He, Ne, Ar,Kr, Xe). Chem. Eur. J. 13, 8256 (2007). J.F. Ogilvie. The nature of the chemical bond. J. Chem. Ed. 67, 280 (1990). G.B. Bacskay, J.R. Reimers, S. Nordholm. The mechanism of covalent bonding. J. Chem. Ed. 74, 1494 (1997). J.N. Murrell, T.G. Wright, D. Bosanac. A search for bound levels of the Van der Waals molecules: H2(a3?+u), HeH(X2?+), LiH(a3?+) and LiHe(X2?+). J. Mol. Struct. (Theochem) 591, 1 (2002). H. Olivares-Pil?on, A.V. Turbiner. H+2 and HeH: Approximating potential curves, rovibrational states. ArXiV: 1705.03608v1 (2017). J.C. Slater. The normal state of helium. Phys. Rev. 32, 349 (1928). T.J. Giese, D.M. York. High-level ab initio methods for calculation of potential energy surfaces of van der Waals complexes. Int. J. Quantum. Chem. 98, 388 (2004). I.G. Kaplan. Intermolecular Interactions: Physical Picture, Computational Methods and Model Potentials (Wiley, 2006). H.J. Werner, P.J. Knowles, G. Knizia, F.R. Manby, M. Sch?utz. Molpro: A general – purpose quantum chemistryprogram package. Wiley Interdiscip. Rev. Comput. Mol. Sci. 2, 242 (2012). F. Luo, G.C. McBane, G. Kim, C.F. Giese, W.R. Gentry. The weakest bond: Experimental observationof helium dimer. J. Chem. Phys. 98, 3564 (1993). E.S. Meyer, J.C. Mester, I.F. Silvera. Comment on "The weakest bond: Experimental observation of helium dimer" [J. Chem. Phys. 98, 3564 (1993)]. J. Chem. Phys. 100, 4021 (1994). F. Luo, G.C. McBane, G. Kim, C.F. Giese, W.R. Gentry. Response to "Comment on 'The weakest bond: Experimental observation of heliumdimer' " [J. Chem. Phys. 100, 4021 (1994)] J. Chem. Phys. 100, 4023 (1994). R.J. Gdanitz. Accurately solving the electronic Schr?odinger equation of atoms and moleculesusing explicitly correlated (r?12)MR-CI. The helium dimer (He2) revisited. Mol. Phys. 99, 923 (2001). Y. Zhao, D.G. Truhlar. Comparative DFT study of van der Waals complexes: Rare-gas dimers, alkaline-earth dimers, zinc dimer, and zinc-rare-gas dimers. J. Phys. Chem. A 110, 5121 (2006). W. Cencek, K. Szalewicz. Ultra-high accuracy calculations for hydrogen molecule and helium dimer. Int. J. Quantum Chem. 108, 2191(2008). M. Przybytek,W. Cencek, B. Jeziorski, K. Szalewicz. Pair potential with submillikelvin uncertainties and nonadiabatic treatment of the halo state of helium dimer. Phys. Rev. Lett. 119, 123401 (2017). J.P. Toennies, Helium clusters and droplets: Microscopic superfluidity and other quantum effects. Mol. Phys. 111, 1879 (2013). T. Havermeier, T. Jahnke, K. Kreidi, R. Wallauer, S. Voss, M. Schoffler, S. Schossler, L. Foucar, N. Neumann, J. Titze, H. Sann, M. Kuhnel, J. Voigtsberger, A. Malakzadeh, N. Sisourat,W. Schollkopf, H. Schmidt-Bocking, R.E. Grisenti,R. Dorner. Single photon double ionization of the helium dimer. Phys. Rev. Lett. 104, 153401 (2010). W. Sch?ollkopf, J.P. Toennies. Nondestructive mass selection of small van der Waals clusters. Science 266, 1345 (1994). J. Laskin, T. Peres, C. Lifshitz, M. Saunders, R.J. Cross, A. Khong. An artificial molecule of Ne2 inside C70. Chem. Phys. Lett. 285, 7 (1998). H. Dodziuk. Endohedral fullerene complexes and in-out isomerism in perhydrogenated fullerenes. In The Mathematics and Topology of Fullerenes. Edited by F. Cataldo, A. Graovac, O. Ori (Springer, 2011), p. 117. S. Iglesias-Groth, J. Breton, C. Girardet. Structure of the Van der Waals rare gas-C60 exohedral complexes [(C60)(RG)n; n = 1, 2]. Chem. Phys. 237, 285 (1998). A. Hirsch. The Chemistry of the Fullerenes (Thieme, 1994). M.J. Arce, A.L. Viado, Y.Z. An, S.I. Khan, Y. Rubin. Triple scission of a six-membered ring on the surface of C60 via consecutive pericyclic reactions and oxidative cobalt insertion. J. Am. Chem. Soc. 118, 3775 (1996). L. Becker, R.J. Poreda, J.L. Bada. Extraterrestrial helium trapped in fullerenes in the sudbury impact structure. Science 272, 249 (1996). J.C. Hummelen, M. Prato, F. Wudl. There is a hole in my bucky. J. Am. Chem. Soc. 117,7003 (1995). R.L. Murry, G.E. Scuseria. Theoretical evidence for a C60 window mechanism. Science 263, 791(1994). C.M. Stanisky, J. Cross, R.J. Cross, M. Saunders, M. Murata, Y. Murata, K. Komatsu. Helium entry and escape through a chemically opened window in a fullerene. J. Am. Chem. Soc. 127, 299 (2005). R. Murry, D.L. Strout, G.K. Odom, G.E. Scuseria. Role of sp3 carbon and 7-membered rings in fullerene annealing and fragmentation. Nature 366, 665 (1993). R. Shimshi, A.Khong, H.A. Jim?enez-V?azquez, R.J.Cross, M. Saunders. Release of noble gas atoms from inside fullerenes. Tetrahedron 52, 5143 (1996). R.B. Darzynkiewicz, G.E. Scuseria. Noble gas endohedral complexes of C60 buckminsterfullerene. J. Phys. Chem. A 101, 7141 (1997). S. Patchkovskii, W. Thiel. How does helium get into buck-minsterfullerene? J. Am. Chem. Soc. 118, 7164(1996). S. Maheshwari, D. Chakraborty, N. Sathyamurthy. Possibility of proton motion through buckminsterfullerene. Chem. Phys. Lett. 315, 181 (1999). S. Osuna, M. Swart, M. Sol`a. Reactivity and regioselectivity of noble gas endohedral fullerenes Ng@C60 and Ng2@C60 (Ng = He–Xe). Chem. Eur. J. 15, 13111 (2009). C.N. Ramachandran, D. Roy, N. Sathyamurthy. Hostguest interaction in endohedral fullerenes. Chem. Phys. Lett. 461, 87 (2008). T. Weiske, D.K. B?ohme, J. Hru?s?ak, W. Kr?atschmer, H. Schwarz. Endohedral cluster compounds – inclusion of helium within C+60 and C+70 through collision experiments. Angew. Chem. Int. Edit. Engl. 30, 884 (1991). P.-O. L?owdin. In Molecules in Physics, Chemistry, and Biology. Vol II. Edited by J. Maruani (Kluwer, 1988), p. 3. P.-O. L?owdin. On nuclear motion and the definition of molecular structure. J. Mol. Struct. (Theochem) 76, 13 (1991). E.S. Kryachko. The force field picture of molecular shape response. Int. J. Quantum. Chem. 108, 1930 (2008). E.S. Kryachko. Stability and protonation of multielectron systems: The concept of proton affinity. I. Vague limits. Int. J. Quantum Chem.111, 1792 (2011). G. Leroy. Stability of chemical species. Int. J. Quantum Chem. 23, 271 (1983). B. Sutcliffe. Some observations on P.-O. L?owdin's definition of a molecule. Int. J. Quantum Chem. 90, 66 (2002). R.G. Woolley, B.T. Sutcliffe. P.-O. L?owdin and the quantum mechanics of molecules. In Fundamental World of Quantum Chemistry. A Tribute to the Memory of Per-Olov L?owdin. Vol 1. Edited by E.J. Br?andas, E.S. Kryachko (Kluwer, 2003), p. 21. J. Miller. Efimov trimers imaged for the first time. Phys. Today 68, 10 (2015). E. Cerpa, A. Krapp, R. Flores-Moreno, K.J. Donald, G. Merino. Influence of endohedral confinement on the electronic interaction between He atoms: A He2@C20H20 case study. Chem. Eur. J. 15, 1985 (2009). S.G. Wang, Y.X. Qiu, W.H.E. Schwarz. Antibond breaking – the formation and decomposition of He@adamantane: Descriptions, explanations, and meaning of concepts. Chem. Eur. J. 16, 9107 (2010). W.L. Zou, Y. Liu, W.J. Liu, T. Wang, J.E. Boggs. He@Mo6Cl8F6: A stable complex of helium. J. Phys. Chem. A 114, 646 (2010). M. Khatua, S. Pan, P.K. Chattaraj. Movement of Ng2 molecules confined in a C60 cage: An ab initio molecular dynamics study. Chem. Phys. Lett. 610, 351 (2014). W.E. Curtis. A new band spectrum associated with helium. Proc. Roy. Soc. London Ser. A 89, 146 (1913). N. Bonifaci, Z. Li, J. Eloranta, S.L. Fiedler. Interaction of helium Rydberg state molecules with dense helium. J. Phys. Chem. A 120, 9019 (2016).
. G.A. Olah, D.A. Klumpp. Superelectrophiles and Their Chemistry (Wiley, 2008). L. Pauling. The normal state of the helium molecule –ions He+2 and He2+2 . J. Chem. Phys. 1, 56 (1933). J. Hern?andez-Rojas, J. Bret?on, J.M.G. Llorente. On polarization effects in endohedral fullerene complexes. Chem. Phys. Lett. 235, 160 (1995). F. Neese. The ORCA program system. Wiley Interdiscip. Rev. Comput. Mol. Sci. 2, 73 (2012). A. Sch?afer, H. Horn, R. Ahlrichs. Fully optimized contracted Gaussian-basis sets for atoms Li to Kr. J. Chem. Phys. 97, 2571 (1992). A. Sch?afer, C. Huber, R. Ahlrichs. Fully optimized contracted Gaussian-basis sets of triple zeta valence quality for atoms Li to Kr. J. Chem. Phys. 100, 5829 (1994). E.D. Glendening, C.R. Landis, F. Weinhold. Natural bond orbital methods. Wiley Interdiscip. Rev. Comput. Mol. Sci. 2, 1 (2012). A.E. Reed, L.A. Curtiss, F. Weinhold. Intermolecular interactions from a natural bond orbital,donor-acceptor viewpoint. Chem. Rev. 88, 899 (1988). F. Weinhold. Natural bond orbital methods. In Encyclopedia of Computational Chemistry, Vol. 3. Edited by P. von R. Schleyer, N.L. Allinger, T. Clark et al. (Wiley, 1998), p. 1792. F. Weinhold, C.R. Landis. Valency and Bonding: A Natural Bond Orbital Donor-Acceptor Perspective (Cambridge Univ. Press, 2005). A.E. Reed, R.B. Weinstock, F. Weinhold. Natural population analysis. J. Chem. Phys. 83, 735 (1985). T.Y. Nikolaienko, L.A. Bulavin, D.M. Hovorun. JANPA: An open source cross-platform implementation of the natural population analysis on the Java platform. Comput. Theor. Chem. 1050, 15 (2014). JANPA: A cross-platform open-source implementation of NPA with Java. Version: 1.03 [http://janpa.sourceforge.net ]. T.Yu. Nikolaenko, E.S. Kryachko, G.A. Dolgonos. On the existence of He–He bond in the endohedral fullerene He2@C60. J. Comput. Chem. in press (2018). A. Herr?aez. Biomolecules in the computer: Jmol to the rescue. Biochem. Mol. Biol. Educ. 34, 255 (2006). R.M. Hanson. Jmol – a paradigm shift in crystallographic visualization. J. Appl. Crystallogr. 43, 1250 (2010). L.D. Landau, E.M. Lifshitz, Quantum Mechanics. Non-Relativistic Theory (Pergamon Press, 1981). V. Barone. Anharmonic vibrational properties by a fully automated second-order perturbative approach. J. Chem. Phys. 122, 014108 (2005). T.Y. Nikolaienko, L.A. Bulavin, D.M. Hovorun. Analysis of 2-deoxy-D-ribofuranose molecule conformational capacity with the quantum-mechanical density functional method. Biopolym. Cell 27, 74 (2011).